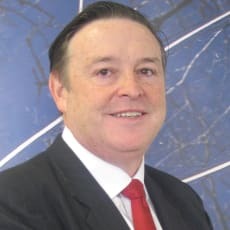 Brian has done extensive African employment law work and significant international employment law work in the United States and the United Kingdom, and for many overseas law firms. He is qualified in South Africa and the United Kingdom. Brian is co-author of the South African chapter of the International Labour and Employment Compliance Handbook and The Employment Law Review and has contributed articles in many local and international publications. He is a regular speaker on employment and labour law issues and has appeared on many television programmes over the years. Brian is recognised as a leading/recommended lawyer by: Chambers and Partners Global Guide to the World's Leading Lawyers (2017, 2016, 2015 and 2014) – employment (South Africa); The Legal 500 Guide to Outstanding Lawyers (2016, 2015 and 2014) – labour and employment (South Africa); Who’s Who Legal (2016 and 2014) – labour and employment (South Africa); Best Lawyers (2017 and 2016) – labour and employment (South Africa).